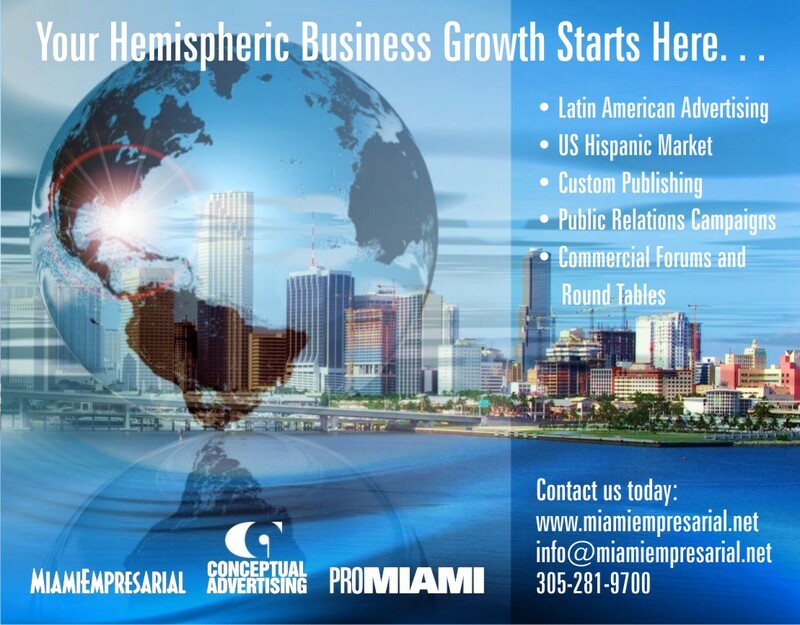 SPECIAL SECTION | Healthcare & Wellness Monthly – Miami Empresarial Magazine: The Business Pulse of South Florida. Joe DiMaggio Children’s Hospital, Fort Lauderdale. Photo/ Miami In Focus, Inc. The Securities and Exchange Commission (SEC) today charged the operator of the largest hospital in Miami-Dade County with misleading investors about the extent of its deteriorating financial condition prior to an $83 million bond offering. An SEC investigation found that the Public Health Trust, which is the governing authority for Jackson Health System, misstated present and future revenues due to breakdowns in a new billing system that inaccurately recorded revenue and patient accounts receivable. The Public Health Trust projected a non-operating loss in the official statement accompanying the bond offering in August 2009, but reported a figure that was more than four times lower than what was ultimately reported at the end of the 2009 fiscal year. The Public Health Trust also failed to properly account for an adverse arbitration award, and misrepresented that its financial statements were prepared according to U.S. Generally Accepted Accounting Principles (GAAP). According to the SEC’s order instituting settled administrative proceedings, the official statement accompanying the bond offering represented that the Public Health Trust (PHT) projected a $56 million non-operating loss for its fiscal year ending Sept. 30, 2009. Several months after the bonds were sold, external auditors discovered problems with the PHT’s patient accounts receivable valuation. This discovery required a large accounting adjustment to the reported net income, and the PHTultimately reported a non-operating loss of $244 million for fiscal year 2009 – more than four times the projection made to bond investors. More on this Breaking News. . .
With the touch of a few buttons, electronic medical records provide doctors the convenience of viewing a patient’s entire medical history during a single visit. Now, the integrated operating rooms at Memorial Hospital Pembroke are allowing surgeons to link electronic records with a host of other technical capabilities, such as video recording and documentation, providing added benefits that enhance physician communication and patient safety. “In the fully integrated operating room, the surgical team has easier access to patient data and more comprehensive information coming into and out of the procedure room, allowing our surgeons to raise the standard of care and safety for our patients,” said Brett Cohen, MD, medical director of Memorial Weight-Loss Surgery Program and physician champion of the integrated surgical initiatives at Memorial Hospital Pembroke. The Olympus Endoalpha TM Systems Integrated Operating Room, the first of its kind in South Florida, is controlled through a centralized touch screen, allowing for communication and documentation (patient information, data, equipment, resources and communication) to be coordinated with the complete range of medical equipment and peripheral systems in the operating room. This provides complete ergonomic control of the OR because all imaging and lighting equipment, video and data can be managed from both the sterile and non-sterile areas. In addition, boom-mounted monitors create a more efficient workspace that not only contribute to a more comfortable, convenient, and optimal viewing environment for medical staff, but also keep surgical environment safer. The surgical team at Memorial Hospital Pembroke performs more than 4,500 surgeries each year using leading-edge technology, including more than 600 procedures using minimally invasive laparoscopic techniques instead of traditional open surgery. Starting May 2013, plans are to also incorporate robotic surgery within the integrated environment of the operating room. Memorial Hospital Pembroke in Pembroke Pines, Fla., is part of Memorial Healthcare System, the fifth-largest public healthcare system in the nation. It offers a wide scope of services, including Center for Wound Healing and Hyperbaric Medicine, Sleep Study Program, Gastroesophageal Reflux Disease (GERD) Program, Leeza’s Place, a center for caregivers, and a program for Canadian visitors, along with outpatient services, diagnostic services and emergency care. For more information, visit memorialpembroke.com. Photo: Miami In Focus, Inc.
Miami Empresarial: Tengo entendido que viaja usted con frecuencia a América Latina a promover el Centro de Neurociencias del Hospital Comunitario Larkin y los tratamientos quirúrgicos con el Gamma Knife. Yo tengo muchas ocasiones cuando me encuentro (antiguos) pacientes en América Latina. Una vez en Ecuador, estaba yo montando nuestro display, que tiene una foto del doctor Wolf, cuando se me acerca un muchacho joven, muy arreglado y profesional, que venía a otra conferencia en el mismo hotel, y me preguntó si ése (la foto) era el Dr. Wolf. Yo le dije que sí y el joven empezó a llorar. Me dijo que él (Wolf) le había salvado la vida a su mamá hacía 14 años. Me contó que él había ido al aeropuerto con sus padres y allí le habían consultado el caso al Dr. Wolf. El muchacho, que entonces tendría entre 10 y 14 años, no había viajado a Miami con su madre, pero se acuerda que el doctor le dijo: “No te preocupes. Yo te voy a devolver a tu mamá muy bien”. Eso me pasa muy amenudo porque ya son 20 años que estoy viajando a América Latina. Ahora estamos viendo a los hijos y a los niños de los que eran niños entonces. El Dr. Wolf también es neurocirujano pediátrico, por lo que atiende a muchos niños latinoamericanos. A nosotros nos mandan muchos casos que nadie quiere tocar, en los que se ha determinado que no hay nada más que hacer. Esos son la mayoría de los casos que vienen aquí, que se atienden en el Centro de Neurociencias de Larkin. More on Larkin Hospital coming soon. 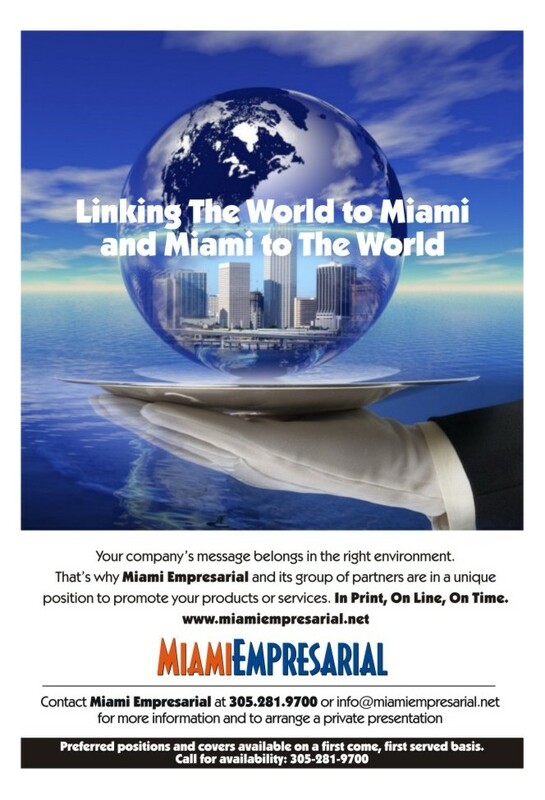 . .
As changes in Health Care, Wellness, Medical Training and Education approach us at lighting speed, Miami Empresarial Magazine readers have asked us to keep them abreast of the advances, opportunities and news on the industry. Also at the recent “The Business of Health Care Post-Election” conference, hosted by the School of Business Administration’s Center for Health Sector Management and Policy, UM provided us with the opportunity to learn more on the upcoming policies and regulations set forth by the Health Care of America plan, better known as Obamacare, plus a first-hand account of doctors’ and patients’ opinions on the effects the HCA plan may have on their practices, medical care, wellness, and personal/professional bottom lines. Themes like New Techniques, Expanding Facilities at Local Hospitals, Technology, Medical Training and Education, Doctor Profiles, Medical Tourism, Conference and Round Tables, etc. will be covered in our publications in English and Spanish. We invite you to read, sponsor and participate in this One-Stop Health and Wellness Communication Channel. For complete information on this special Health Care section, please call 305.281.9700. Miami Jewish Health Systems presented the Rev. Dale A. Young, D.Min., BCC, its 2013 Clergy of the Year Award. Rev. Young founded and has directed Baptist Health South Florida’s Congregational Health department since 1997.The Clergy of the Year Award is given to a member of the local clergy whose selfless dedication to the elderly embodies the qualities of spiritual devotion, compassion, understanding and interfaith cooperation. Stephen H. Cypen, chair of the board of Miami Jewish Health Systems, presented the award to Rev. Young at the 18th annual Ministering to the Elderly Conference in Miami. “Dale Young, in his quiet way, has impacted tens of thousands of people through his ministry. He represents the best of what spiritual care can look like, and Baptist Health’s unique Congregational Health program is a model for how a healthcare institution can make systemic change within a community,” said Cypen at the conference. The Congregational Health department is a faith-health partnership between Baptist Health and more than 160 Miami-Dade County congregations of all faiths. It promotes community health and well-being through congregation-based programs of health education, preventive care, health screenings, home visitation of the sick, support groups, and practical and spiritual support to people with health challenges. Rev. Young and other Baptist Health leaders developed the initiative in 1997 in response to regulatory and financial pressures on the healthcare profession. These forces curtailed hospital stays and reduced opportunities for pastoral interaction with patients. Local congregations, in partnership with Congregational Health, develop their own health ministries, identify their community health profile and establish an appropriate program of health education and support that meets the needs of their specific community. Rev. Young is an ordained Lutheran clergyman and a board-certified chaplain (BCC). He graduated from Wartburg Theological Seminary in Dubuque, Iowa, and completed his clinical pastoral education residency at Jackson Memorial Hospital in Miami. He is a past president of the South Florida Chaplains Association. A diagnosis of brain tumor, brain cancer or metastasis will generate varying degrees of anguish, fear and even helplessness in most persons. Dr. Aizik L. Wolf , Medical Director for the Miami Neuroscience Center at Miami’s Larkin Hospital, insists that in an increasing number of cases —as patients and their families become aware of today’s medical and technological advances in this field— the initial emotional impact should likely give way to a sense of hope and optimism. Understanding brain tumors, their symptoms and treatment options goes a long way to assuage the feelings of intimidation and angst. And with continuous research and advanced case data collection/analysis, some of it generated by newsworthy cases like actress Valerie Harper’s rare brain cancer, more and more new information is becoming available to physicians-specialists and patients alike. “When people hear the diagnosis, many believe there is nothing that can be done. It is a frightening diagnosis and I see so many patients who have been told they have only months to live. In fact, we have revolutionary procedures combined with cutting edge technology that are effective,” states Dr. Wolf, a nationally acclaimed neurosurgeon who has performed over 7,000 procedures with Gamma Knife®, a precise, non-invasive neurosurgical tool that is used to treat brain tumors, many of which are complex or might otherwise be considered inoperable, along with a number of other brain disorders. Dr. Wolf understands challenges. He has developed groundbreaking applications for brain tumor treatments even as many argued they would never work. Due to his innovation and tenacity advocating for his patients, including his pioneering approach to Gamma Knife® treatment for multiple brain tumors are now being practiced and taught in major medical universities around the world. The veteran surgeon says headaches that seem worse when you first wake up or lie down,changes in hearing, smell, taste or speech, changes in personality, and weakness in a part of the body are among signs that you should see a doctor immediately. In an exclusive interview with Arquimedes Trujillo, MiamiEmpresarial’s publisher, Dr. Wolf expanded on his practice’s groundbreaking history with the revolutionary Gamma Knife® technology, a sophisticated system for delivering single, high-dose radiation to an intra-cranial target, as well as its extraordinary precision and effectiveness in treating brain tumors. Dr. Wolf and his team continued to break ground in treating patients with larger and more complex brain metastases. MiamiEmpresarial: With your abilities, can you target the affected area without damaging healthy brain tissue? Dr. Wolf: The technology is very, very precise. In fact, the technology is more precise than the actual imaging. The ability to aim the radiation is more precise than the ability to image the charger by a field of 0.15 millimeters. M/E: Is this a non-invasive process? Dr. Wolf: Not invasive. It’s basically an outpatient procedure. The equipment is as big as a Gamma Knife® and the institute was designed to get the flow of the patient. So basically the patient comes in, gets set-up for imaging and then, when they get treated, they walk out the door. . . They could go shopping in Saks Fifth Avenue. They can come to Miami for a shopping spree and a treatment for a brain tumor. Dr. Wolf: It’s the ultimate medical tourism! M/E: I was told that a great number of your patients come from Latin America. . .
Dr. Wolf: Yes, about 30 percent come from Latin America. In terms of Hispanics, the number goes up to 70 percent. Almost everybody in Miami is Hispanic. While making great strides in the treatment of brain tumors and metastasis, Dr. Wolf emphasizes that, once the patient has been diagnosed, he/she must fully understand the illness and learn about all the available treatments.